I mentioned earlier in the week that I would share the challenge cards from the Jillibean crop. The creative juices were flowing! I gave the girls 45 minutes to come up with a card from some scraps (which included both Minestrone and Whitebean patterned papers). Everyone chose to use the Whitebean papers. After everyone voted, we had a 3-way tie! Holly ended up walking away with the prize. 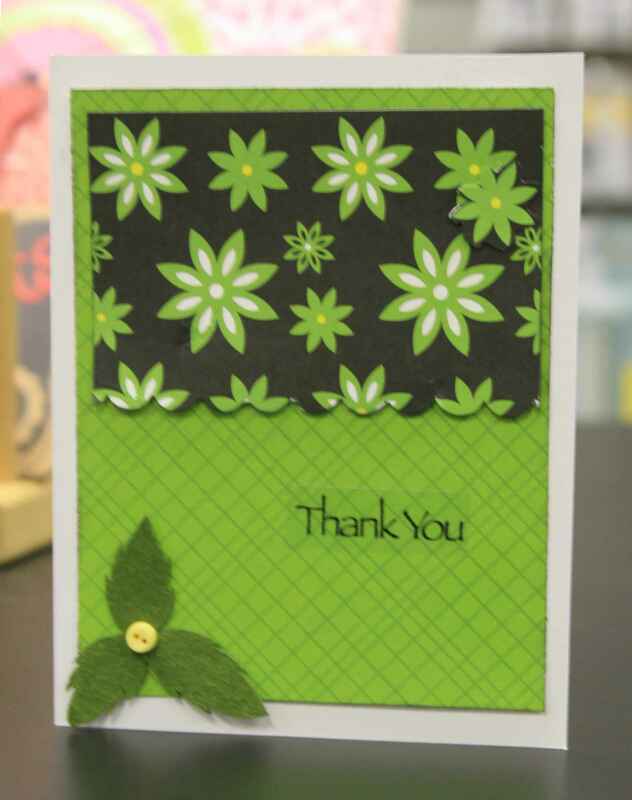 I think this card belonged to Bev? Love the blocking with the different pp. A cute card from Ms. Jana. You can see more of Jana’s work here. Love how she cut out the frames. 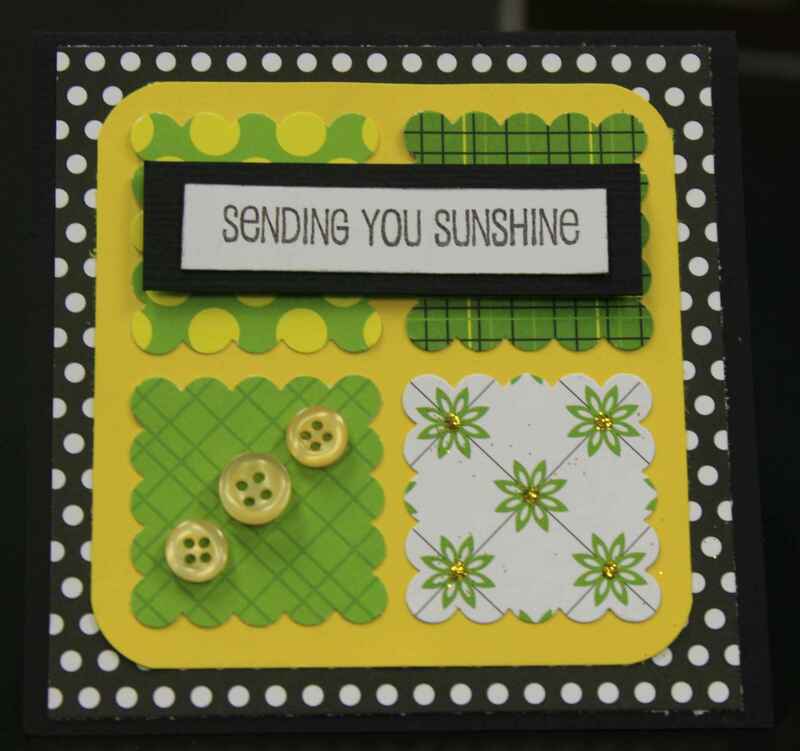 Tracy created this adorable card. Again, love the blocking of the different patterns. 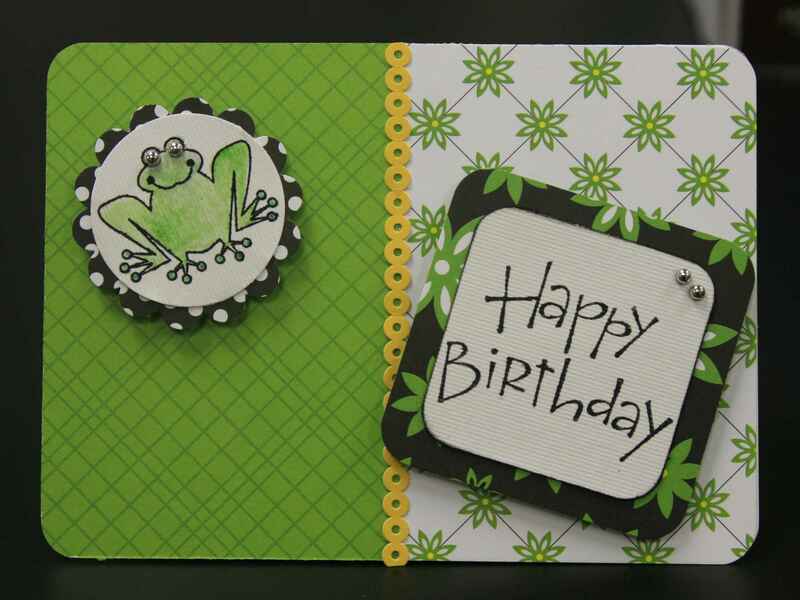 Heather created this Happy Birthday card. Love the googlie eyes on the frog. 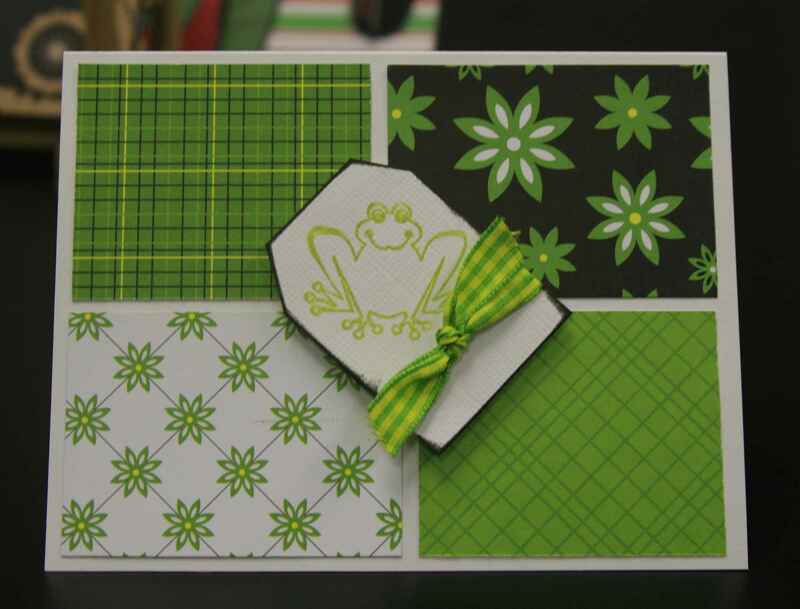 Heather has recently started selling cards on Etsy…you can check them out here. 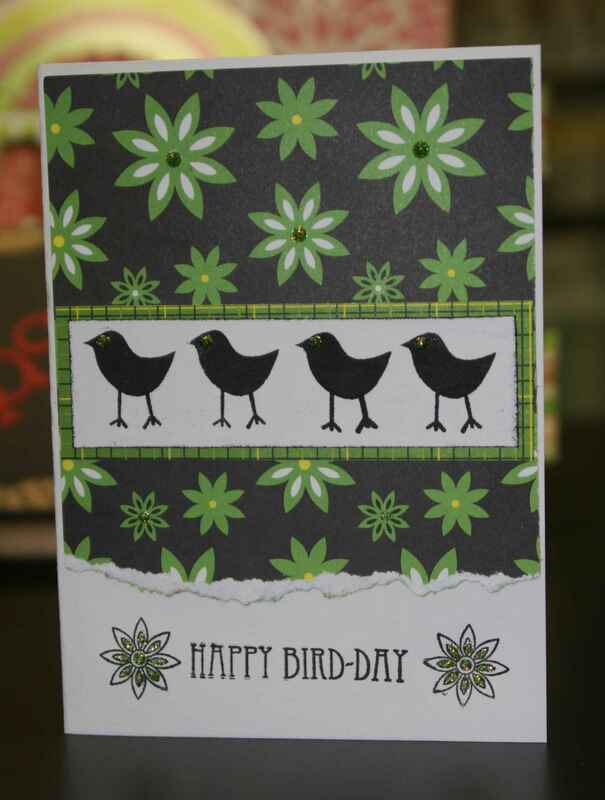 This “Happy Bird-day” card was created by Holly..the white chocolate crunch muncher at the crop. 😉 Kidding…love the card, Holly! Can someone help me out with this card? The butterflies are too cute! 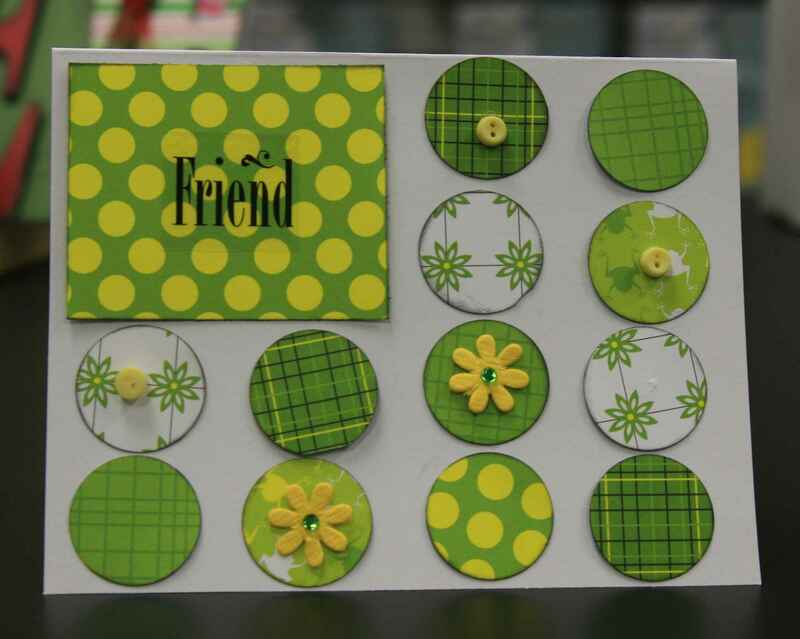 Judy created both the “Friend” card above and the “Thank you” card below. Love the circles. The green against the white background looks great! 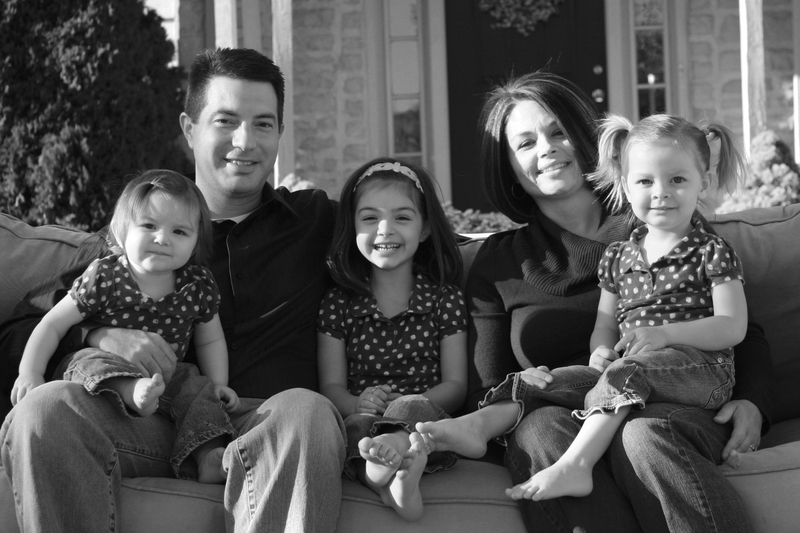 This has got to be the best part of the job…seeing what other’s make with Jillibean goodness. 🙂 Love it! love love the cards ladies! 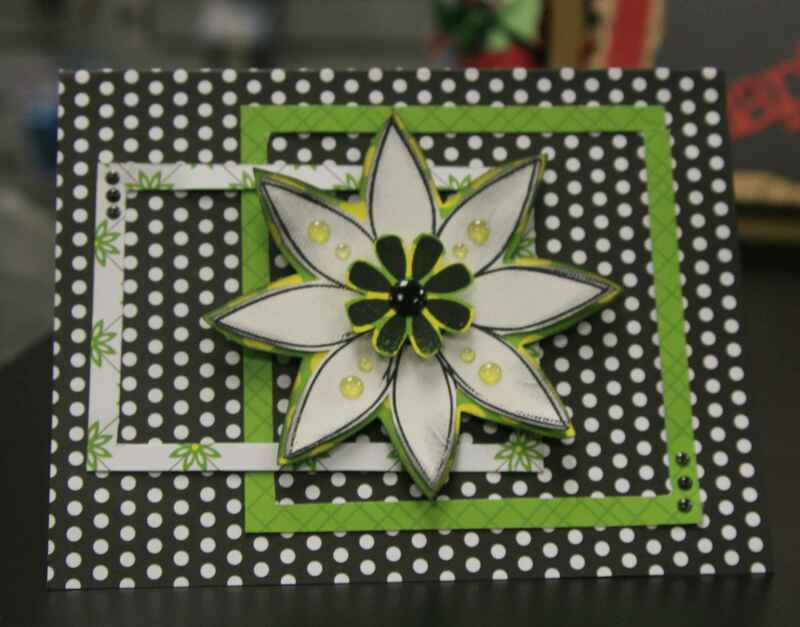 Everyone did such a great job on the cards…how did Judy have time to do two…she’s creative and quick! 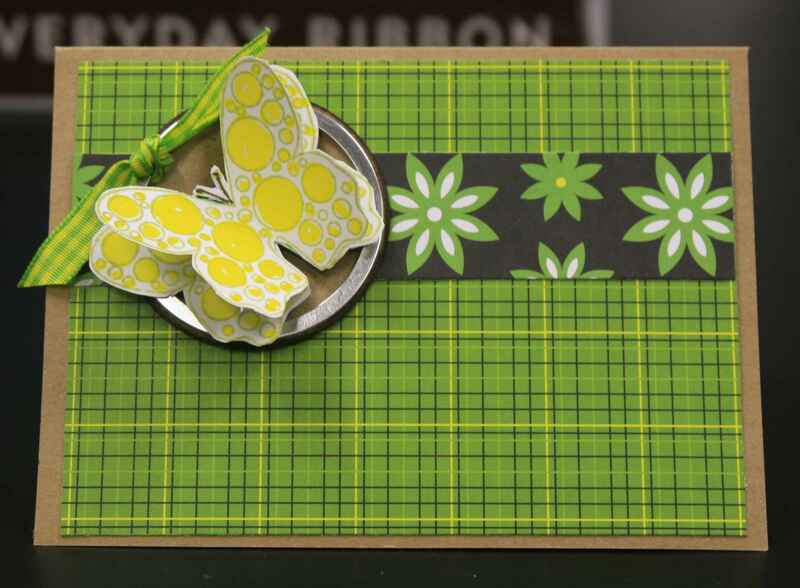 By the way, Generous Jill gave everyone fantastic goody bags to work with and these bright, beautiful papers make creating a little bit easier! Great job everyone and I can’t wait to hear & see more of the Jillibean clear stamps!!!! !